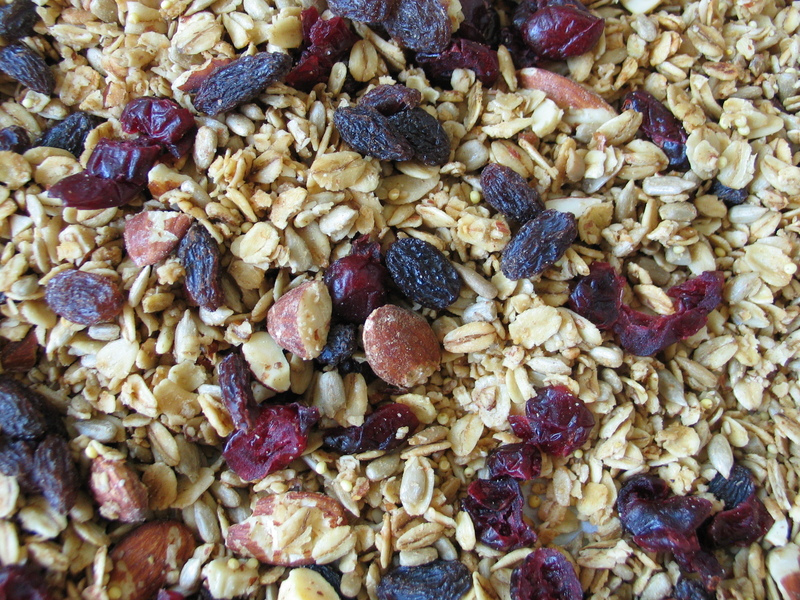 Another great granola recipe, this time I borrowed from ‘Thug Kitchen, the Official Cookbook’. Below is my doubled version – enjoy! Preheat the oven to 300, set 2 racks so that they’re close to the middle and line 2 baking sheets with parchment. In a large bowl, mix together both oatmeals, seeds, almonds and millet and in a small bowl, whisk together the syrup, oil and vanilla. Pour the wet over the dry and combine well until everything looks coated, then sprinkle on the cinnamon and salt and stir again. 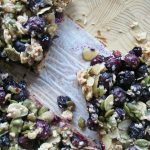 Divide the mix evenly among your 2 prepared baking sheets and spread it out so that all the granola is pretty much in an even layer. To bake, I did 4, 12 minute baking sessions, taking the pans out each time to stir the granola and then rotating the pans when I put them back in. Everything should look nice and toasted. When you’re happy with the bake time, stir in the dried fruit – evenly to both pans – and then allow the granola to cool completely on the baking sheets before storing in an airtight container.